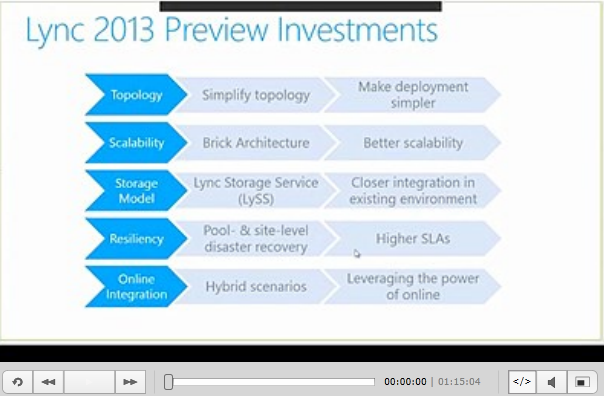 On TechNet Websites you can find two videos about Microsoft Lync Server 2013. Each of them takes about 1h. Lync Server 2013 introduces many new features, along with significant enhancements to existing functionality. This session provides a high-level introduction to these new features and enhancements as well as covering a more in depth look at topology, high availability, scale and disaster recovery. This includes architectural underpinnings for these changes and details around the Lync 2013 enterprise grade resiliency and how the administrator experience toolset is expanded for new scenarios. 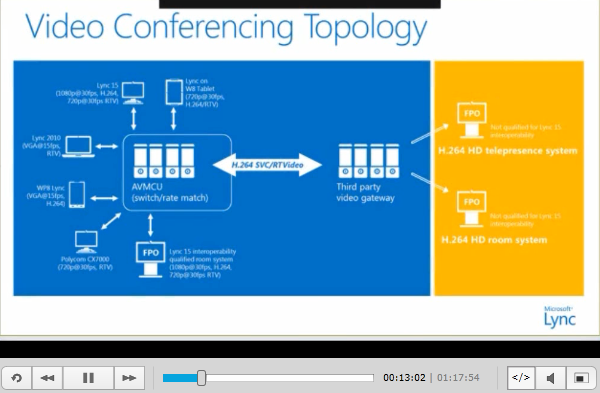 Tagged Lync Server 2013: Architecture & Administration, Lync Server 2013: Video & Meetings, Microsoft Lync 2013, video. Bookmark the permalink.